Online customer ratings and reviews have become deeply intertwined with shopping, travel, dining, and much more. 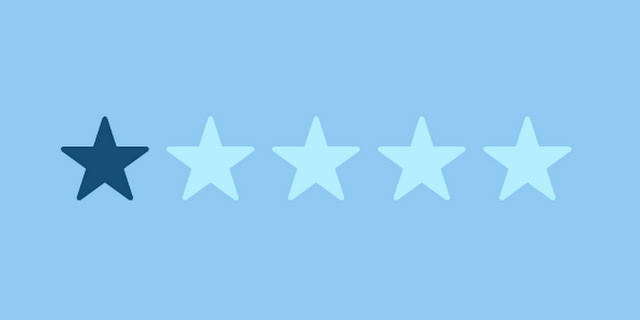 As customers click star ratings and post comments at various sites, others respond and react–often en masse. “They are an important part of the business landscape. It’s something that businesses cannot ignore,” said Rick Ducey, managing director at marketing and media consulting firm BIA/Kelsey. To be sure, the list of companies, sites, and services that incorporate customer reviews is significant: Apple, Amazon, Angie’s List, Bing, Citysearch, TripAdvisor, Google+, Yahoo Local, and Yelp, to name a few. Review sites also exist for doctors, lawyers, car dealers, and college professors. Not only have these sites changed the dynamics of business–and dropped enormous power into the hands of consumers–they have spawned the need for reputation management and introduced a dizzying array of data points that transform marketing. “The data and metadata from ratings and reviews can be used in highly strategic ways,” said Peter Krasilovsky, an independent marketing consultant who runs the marketing website Local Onliner. Sorting through the various challenges and opportunities is critical for organizations large and small, as well as for digital marketing agencies looking to tap into reviews, reputation management, and next-generation marketing opportunities for local businesses. What’s more, the landscape is continuing to evolve–which is why it’s critical for the entire marketing community to tune into the online review space on a much deeper level. It’s no secret that reviews on Amazon, Yelp, or TripAdvisor can make or break a product or a company. While many businesses receive positive reviews on a regular basis, one-star reviews can pop up and prove damaging, if not devastating. Remarkably, many businesses–including large companies–continue to overlook or under-monitor review sites, Ducey said. When BIA/Kelsey recently examined the space, it found about one-quarter of businesses do not monitor customer comments. About 17% said they aren’t doing so now but plan to introduce monitoring within the next 12 months. Of those that did monitor, about 45% said they use a free service or take a DYI approach (i.e., Google Alerts or Social Mention), 32% rely on a bundled service, and about 18% tap a separate service that’s dedicated to monitoring customer comments. “More and more businesses are turning to outside firms to monitor and track ratings, reviews, and social streams because it is becoming more complex,” he said. In many cases, CMOs and digital agencies tap structured and unstructured data from star ratings, online reviews, social media posts, surveys, and additional sources. Yet, regardless of the specific approach, an initiative must ultimately revolve around identifying customer concerns and trends in the business, Ducey said. A negative review can influence others but also deliver clues about glitches, problems, and basic flaws in the business that aren’t always visible on the surface. It’s a bad idea, he said, to deny that problems exist or argue with those posting negative comments, which typically leads to a further decline in reputation. The environment is clearly becoming more complex. Customer ratings and reviews are increasingly tied into search engine optimization and how the likes of Bing and Google rank and display results. Likewise, search engines and the algorithms used at review sites have become far more sophisticated at ferreting out fake reviews, both positive and negative, and spotting anomalies, such as when a site receives too many positive reviews or when a posting mill in a foreign country appears to be churning out fake posts. “There are now very sophisticated filters in place for finding reviews that are artificially generated,” Vendasta’s Tomlin said. In addition, a growing number of online retailer sites, such as Amazon, note whether a reviewer actually purchased the item. According to Ducey, research consistently shows that consumers are far more likely to post negative reviews than positive reviews–sometimes by a ratio of 10 to 1 or more. Interestingly, when researchers at Cornell University’s Center for Hospitality Research looked deeper into customer rating and reviews for hotels, it found that reviews don’t necessarily provide a complete picture of how people react to posts. Using text-mining and natural-language processing techniques to examine more than 5,800 TripAdvisor reviews, the researchers not only confirmed that negative comments carry far more weight than positive comments for those looking to book a hotel, consistently moderate scores have more influence than a combination of very high and very low ratings. The upshot? It’s wise to encourage customers to post a review about their experience but to ask for an honest response, Ducey said. “It may be as simple as, ‘Thank you for your business, please let us know how we are doing,’” he added. Then it’s important to take the comments seriously, engage in dialogue with the customer, and then make a serious attempt to resolve the underlying issue. This might lead to the business checking back with the customer and, if an issue is resolved, asking for a positive follow-up to the initial review. But ratings and reviews are more than the sum of numbers and words. The emerging challenge for marketers, Krasilovsky said, is to take a highly strategic view of the data. In some cases, this includes metadata surrounding aggregate reviews and social media posts, the number and type of people who are posting reviews, search data, and mapping data. Using this approach, for instance, a restaurant chain might recognize an opportunity to add a delivery service or market to a segment of the community that was previously overlooked. In other words, the rating or review is simply a starting point for big data. The sum of the reviews takes marketing to a higher level. The concept of peering deeper into reputational and sentiment data also applies to larger enterprises. For example, using location-based data from a heat map or textual analysis, a consumer products company might plug in product reviews from different regions or ZIP codes to understand trends and sentiment in deeper and broader ways. This may lead to a better understanding of potential new products, how to introduce products in different regions, and how to segment marketing and advertising based on different groups and the way they score products. The significance of the data streaming in from ratings and reviews will continue to grow over the next decade and beyond. As the Internet of Things, things takes hold and more advanced analytics takes shape, new ways to use ratings to gauge customer sentiment will appear. For example, a clothing retailer in Brazil, C&A, has experimented with digital hangers that display counters with Facebook likes. Others are looking into concepts such as using facial recognition to generate feedback and approval scores for digital signage and advertising in stores and elsewhere. As the world wades deeper into the digital arena, CMOs and other business leaders must think carefully about how they frame processes involving ratings and reviews, Ducey said. In fact, in some cases, it’s necessary to fundamentally rethink the way an organization approaches the task.